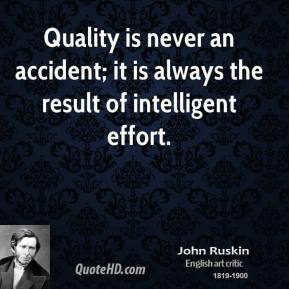 Quality is never an accident; it is always the result of intelligent effort. 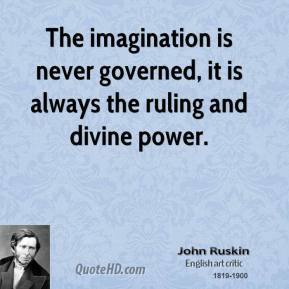 The imagination is never governed, it is always the ruling and divine power. 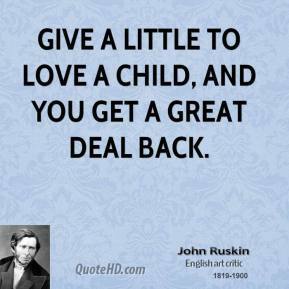 Give a little to love a child, and you get a great deal back. 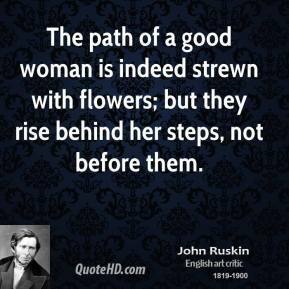 The path of a good woman is indeed strewn with flowers; but they rise behind her steps, not before them. 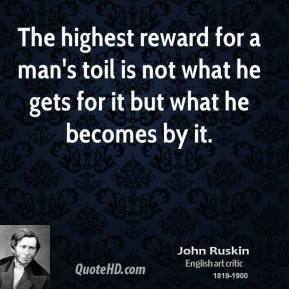 The highest reward for a man's toil is not what he gets for it but what he becomes by it. 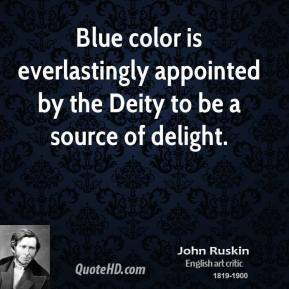 Blue color is everlastingly appointed by the Deity to be a source of delight. 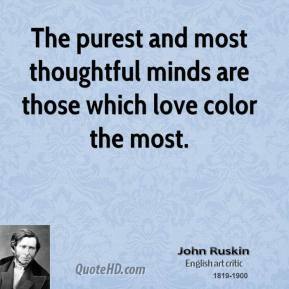 Do not think of your faults, still less of others' faults; look for what is good and strong, and try to imitate it. 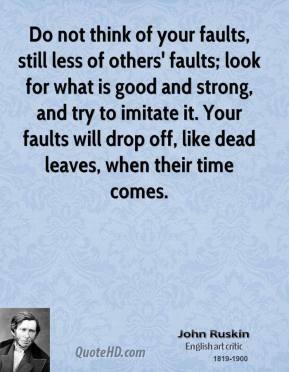 Your faults will drop off, like dead leaves, when their time comes. 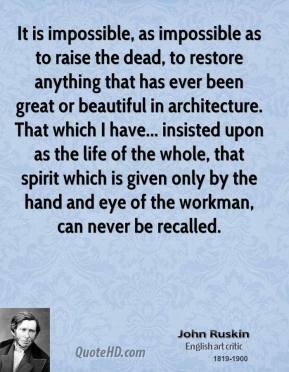 It is impossible, as impossible as to raise the dead, to restore anything that has ever been great or beautiful in architecture. 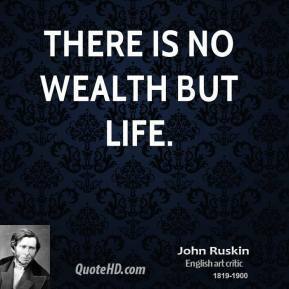 That which I have... insisted upon as the life of the whole, that spirit which is given only by the hand and eye of the workman, can never be recalled. 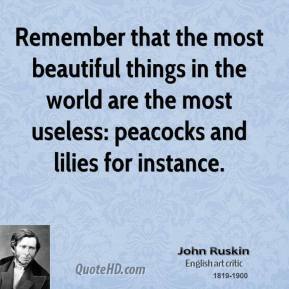 Remember that the most beautiful things in the world are the most useless: peacocks and lilies for instance. 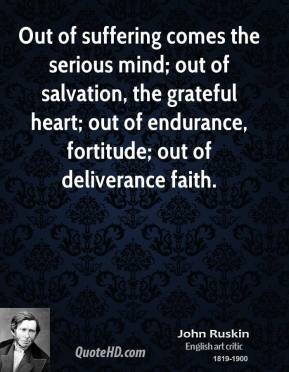 Out of suffering comes the serious mind; out of salvation, the grateful heart; out of endurance, fortitude; out of deliverance faith. 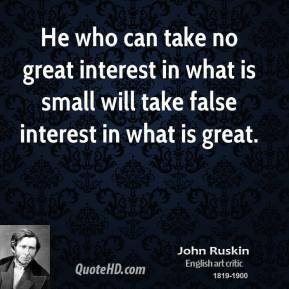 He who can take no great interest in what is small will take false interest in what is great. 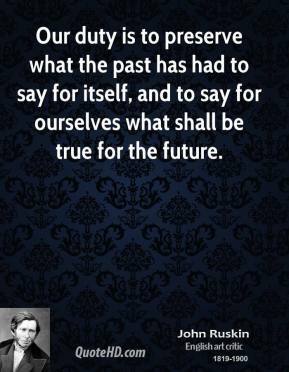 Our duty is to preserve what the past has had to say for itself, and to say for ourselves what shall be true for the future. 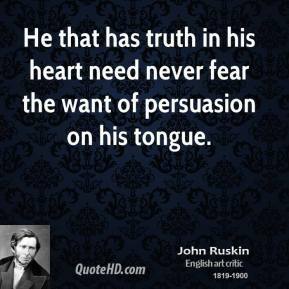 He that has truth in his heart need never fear the want of persuasion on his tongue. 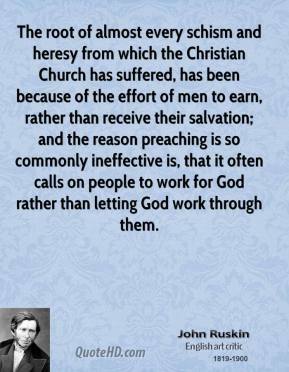 The root of almost every schism and heresy from which the Christian Church has suffered, has been because of the effort of men to earn, rather than receive their salvation; and the reason preaching is so commonly ineffective is, that it often calls on people to work for God rather than letting God work through them. 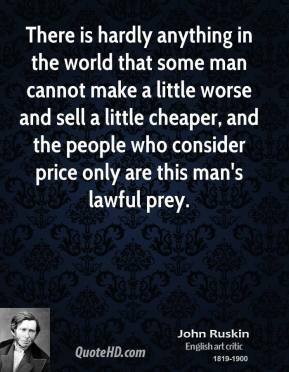 You may chisel a boy into shape, as you would a rock, or hammer him into it, if he be of a better kind, as you would a piece of bronze. 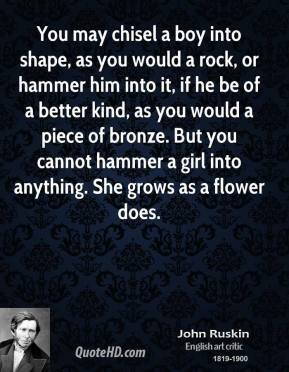 But you cannot hammer a girl into anything. 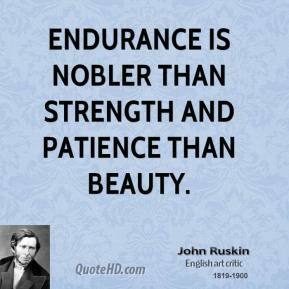 She grows as a flower does. 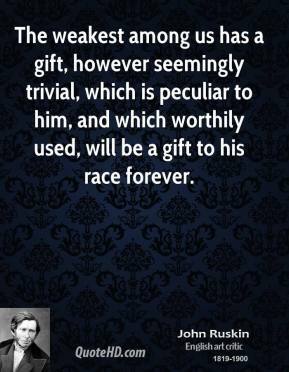 The weakest among us has a gift, however seemingly trivial, which is peculiar to him, and which worthily used, will be a gift to his race forever. 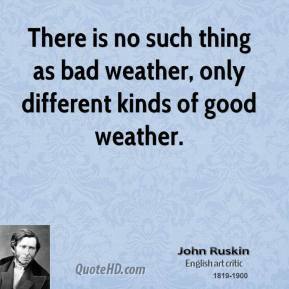 Mountains are to the rest of the body of the earth, what violent muscular action is to the body of man. 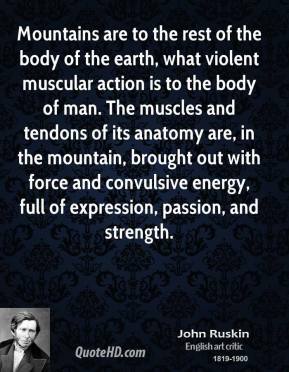 The muscles and tendons of its anatomy are, in the mountain, brought out with force and convulsive energy, full of expression, passion, and strength. 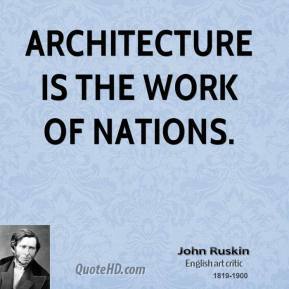 Architecture is the work of nations.